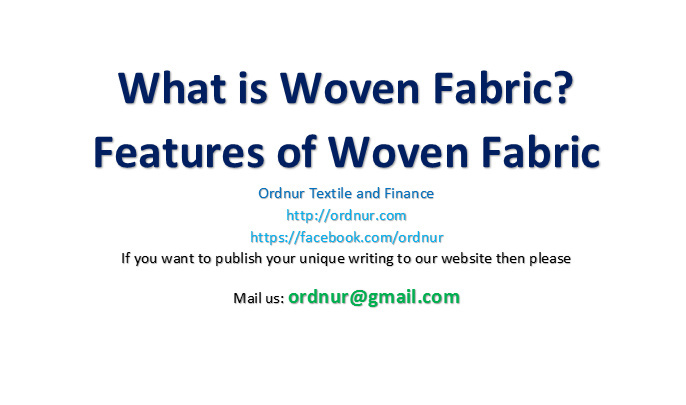 Many people looking for the answer what is woven fabric features of woven fabric, for this reason i tried to explain this in a easiest way so that you can understand it in a better way. Basically woven is produced by weaving process in loom. In manufacturing Structure of Woven fabric, it is made by interlacement of Warp and Weft yarn. Warp yarn is used in lengthwise and weft yarn in used in width-wise. Basic Construction of Woven fabric is used as = (Ends per inch X Picks per inch)/ (Warp count X Weft Count) X Width. Generally woven fabric in made by plain, twill or stain weave. Tagged Different types of woven fabrics, Features of Woven Fabric, structural design of woven fabric, What is Woven Fabric, What is Woven Fabric Features of Woven Fabric, Woven fabric construction.